I've tried anything Asian beauty related to skincare I can get my hands on, but believe it or not, I've never tried much for haircare. 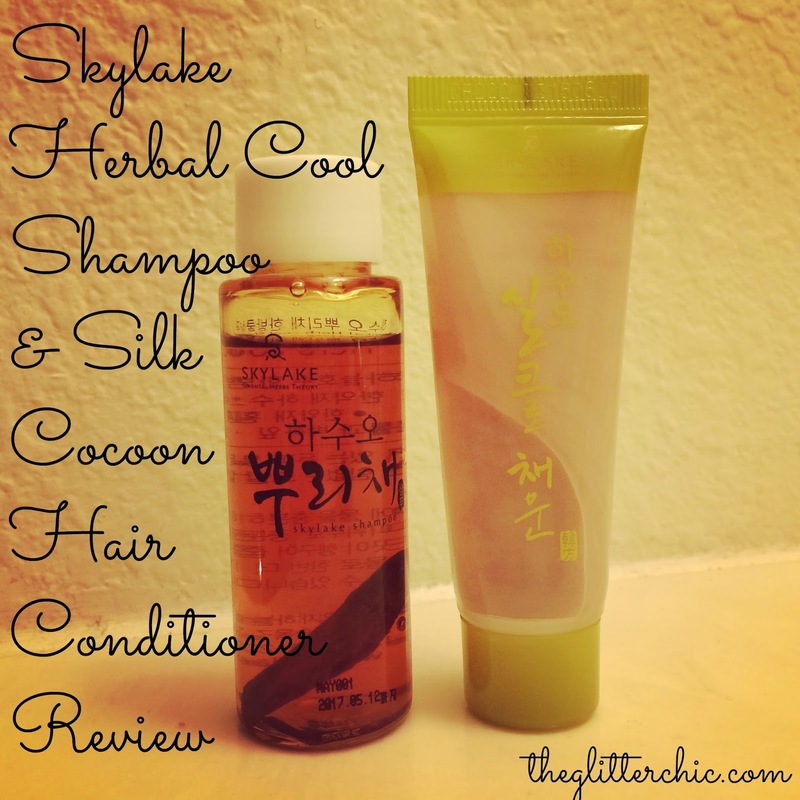 I've heard a lot of buzz about Skylake's shampoo on Instagram, and had to try it for myself. I suffer from psoriasis on my scalp, and have only found one shampoo that has actually eased my symptoms before. 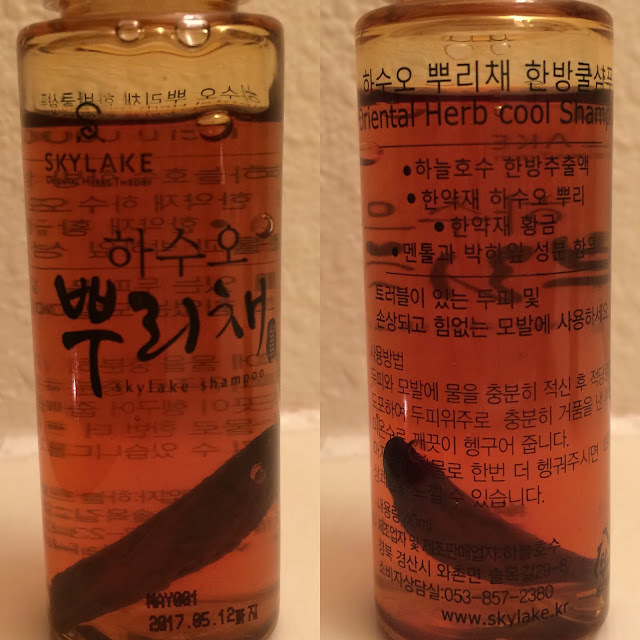 The herbs that Skylake uses in their products sounded so promising, so they sent me some samples to try out. We believe in the power of nature and the various herbs it offers in bringing out the healthiest version of our skin. That is why we pay special attention to selecting our natural ingredients and incorporating them to serve our customers’ specific needs. Skylake’s patented production method includes 72 hours of boiling 18 main ingredients, and allowing another 90 days of maturation and fermentation period of the extracted distillate. Our products are especially loved by those who have sensitive skin or try to steer away from chemicals that most skincare brands use. We carry a wide range of products that people love regardless of age and gender. Skylake has a brick-and-mortar store in New York City where they carry several brands besides their own, but they also have an online site to order their products from. Along with Skylake patented herbal extracts, Skylake Herbal Cool Shampoo contains “WILFORDI ROOT,” which helps to protect your hair color and prevent hair loss. It also contains “SCUTELLARIA BAICALENSIS ROOT POWDER,” which promotes antibacterial and anti-inflammatory effects. Give your scalp freshness and cooling sensation with menthol and peppermint. Using Skylake Herbal Cool Shampoo, you can clean your hair effectively while staying away from itchiness and dandruff. It is especially recommended for people with sensitive scalp and/or damaged hair. One thing I immediately loved about this shampoo was the piece of wilfordi root in it. It really gives the whole product a much more natural feel, and really makes it clear that you're using something good on your scalp and hair. The shampoo itself it thick but runny, reminiscent of warm honey, but has a soothing minty scent to it. It lathers nicely in my hair, and gives a cooling tingly sensation. I feel like it cleans very well, but does leave my hair a little dry if I don't follow with a conditioner. Skylake Silk Cocoon Hair Conditioner is a premium way to maintain your hair healthy, soft and energized. Composited with real silk cocoon extract and hydrolyzed silk cocoon extract that contain natural protein and other natural nutrients, it is recommend for people with weak, damaged and dry hair. This conditioner has a more medicinal smell than herbal in my opinion. It's hard for me to place the smell, but it's not minty like the shampoo. It has a typical gooey thick-but-workable conditioner feel to it, and it absorbs into my hair well and instantly detangles it while I'm working it in. I feel like the conditioner rinses away easily for the most part, but I have to scrub my scalp a bit or my roots hold onto too much product and leave my hair greasy. I also noticed that the smell of the conditioner really lasts, like - usually at least 24 hours. So I personally suggest starting with a smaller size until you know you like the smell and how long it lingers. I will say that it leaves my hair feeling very soft and bouncy, I really like how much body it gives my hair. So how did my psoriasis fare with these new haircare products? The shampoo was very soothing to my scalp, and I felt like it loosened up my flakes and buildup very well. While I did find the shampoo dried out my hair a bit, the conditioner complimented it perfectly by adding in the perfect amount of moisture back - leaving my scalp refreshed and my hair full of body. The shampoo did prevent itching, but I did still find some flakes in my hair throughout the day (not sure if they were loosened up by the shampoo but not rinsed away, or new flakes). I did also find that it did not prevent my psoriasis from building back up on my scalp unless I washed my hair daily. I think this is an excellent shampoo, and the conditioner is nice too - but perhaps my psoriasis is too severe to take full advantage of all the benefits this combo has to offer. It's definitely something I'll continue to use off and on though! Would love to try Skylake products! 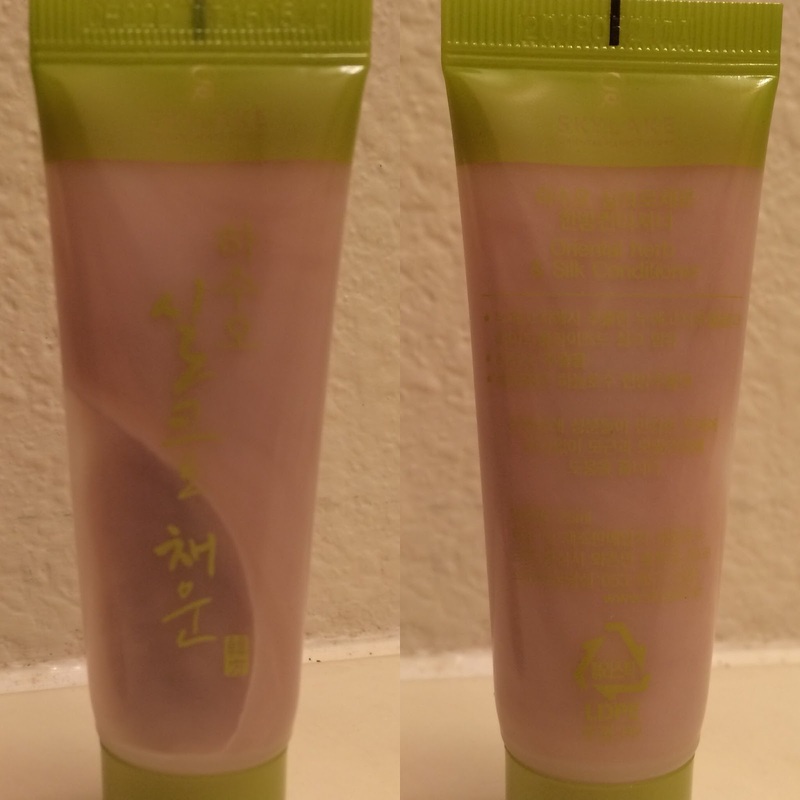 I've tried a couple of Asian skincare products, facial masks mostly. But I've never tried any haircare products. Would love to try these, thank you for the review!